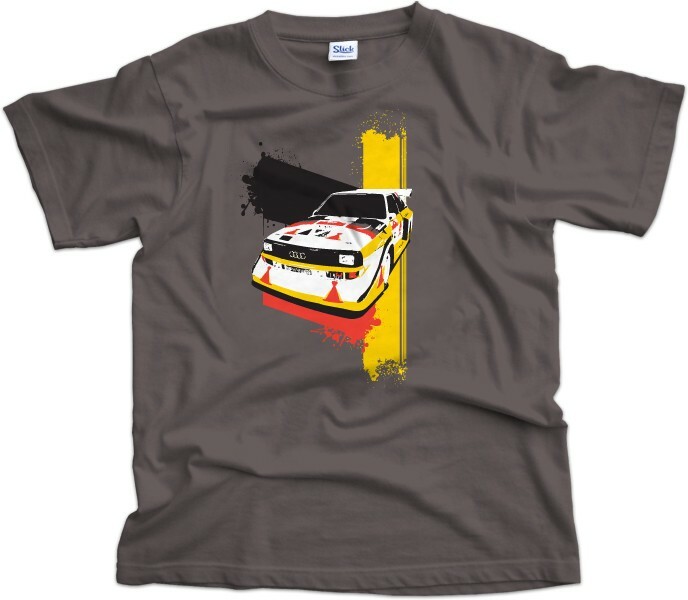 The Audi Quattro rewrote the rule book when it burst onto the rally scene in the early 80s. The first rally car to exploit four wheel drive, it won countless rallies and epitomised the the wild Group B era. 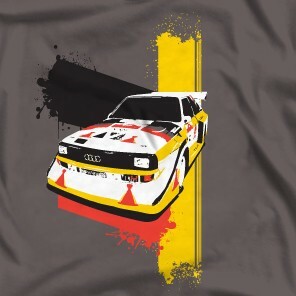 By 1984 it had evolved into the short wheelbase Quattro Sport version, which we've immortalised in cotton here for you.